FFT with random complex input data. 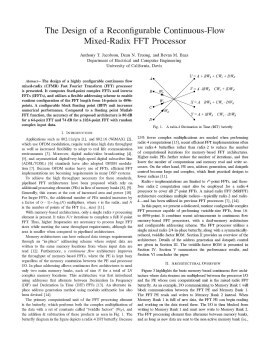 Anthony T. Jacobson, Dean N. Truong, Bevan M. Baas, "The Design of a Reconfigurable Continuous-Flow Mixed-Radix FFT Processor" IEEE International Symposium on Circuits and Systems (ISCAS), May 2009, pp. 1133-1136.